Image 6429085: Cardiovascular Disease - Medical Concept. 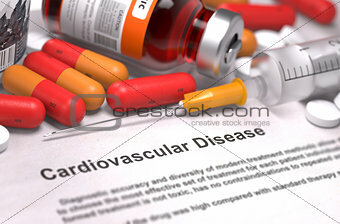 Image Description: Cardiovascular Disease - Medical Concept with Red Pills, Injections and Syringe. Selective Focus. 3D Render. L 21.4 x 14.1 cm 8.4 x 5.5"
XL 26.2 x 17.2 cm 10.3 x 6.8"
XXXL 47.8 x 31.5 cm 18.8 x 12.4"